There’s nothing more exciting than going to an NBA game… but have you ever considered what it takes to bring that experience to life? 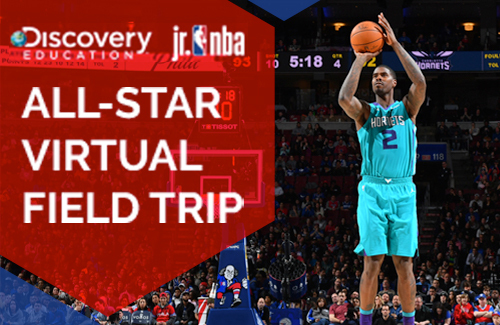 Join Discovery Education and the NBA for a Virtual Field Trip to the All-Star Game. 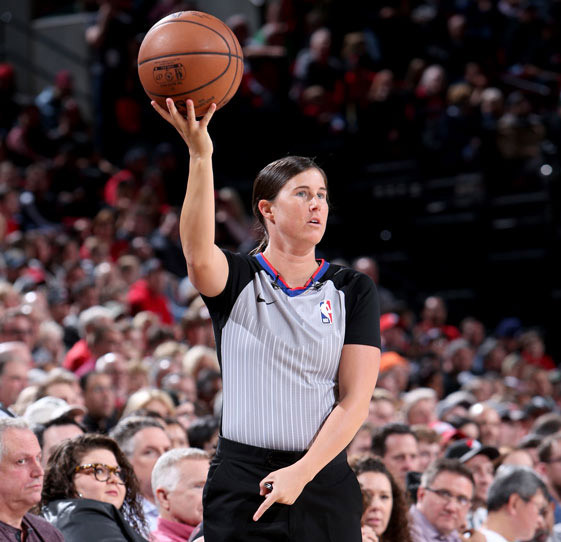 This exciting 30-minute program will give students a glimpse behind the scenes and help them learn how NBA staff use STEM skills in their work each and every day! Having trouble viewing? You may be outside of North America, or your school may have blocked our video player. For help, contact our support team at Education_Info@DiscoveryEd.com. Use this Companion Guide to explore concepts related to the the All-Star Virtual Field Trip (VFT). Educators may choose to complete one or all of these activities before, during, or after the VFT. ← Use this recording of last year’s NBA Careers That Count VFT to complete Activity #1 | Career Panel. Once you’ve logged into Discovery Education, type “NBA Content Collection” in search to access lesson starters by grade band, basketball-themed content & videos, and activities. Plus, you’ll have access to primary source images and videos directly from the NBA archive. 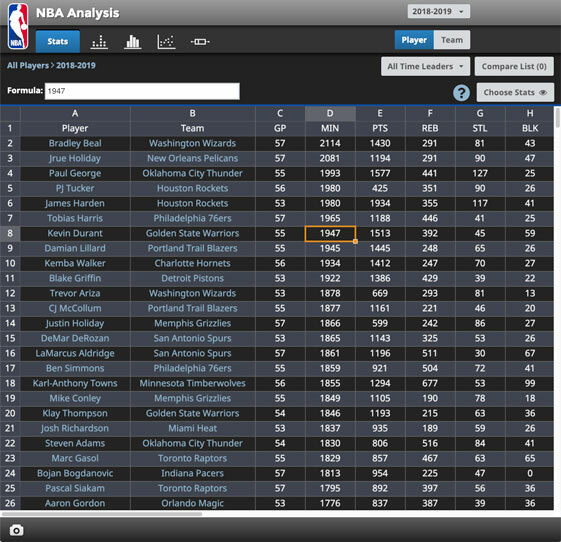 For a limited time, all subscribers (including trial users), will have access to the NBA Analysis Tool, which allows students to gather and analyze NBA and WNBA statistical categories, follow a favorite player or team, and predict player performance throughout the season. Students will have fun as they grow their understanding of how essential math is to the game of basketball. Who Should Take the Free Throw? When the score is really close, and time is running out, coaches need to decide which player has the best chance of making a game-winning shot. In this problem, students play the role of coach and decide which player should take a technical free throw to win the game. Students use real-time statistics and their knowledge of percentages to figure it out. What Size Court Is Right for You? An NBA basketball court is 94 feet long and 50 feet wide. Those might be the right dimensions for a player who is 6’10”, but is it the right size for a middle-school student? Using estimation and proportion, students will determine a court size that’s more appropriate for their height and stride length. A bank shot is a shot that hits the backboard first. They can be very effective—sometimes, even more effective than straight-on shots. But bank shots aren’t possible from every spot on the floor. Using their knowledge of geometry and reflections, students will analyze the situation to determine the spots from which bank shots are possible. Is the number of three-pointers a player makes related to the number of three-point shots that she attempts? That seems likely. Is the number of blocks related to free-throw percentage? Maybe not so much. In this problem, students will choose two stats that they think have a strong positive correlation, and then create a model to determine if there’s any relationship between them. From the classroom to the court, the NBA is committed to providing educational and fun opportunities for youth to engage with the game of basketball. The Jr. NBA is the NBA’s youth basketball participation program for boys and girls ages 6-14, which helps grow and improve the youth basketball experience for all. The Jr. NBA teaches the fundamental skills as well as the core values of the game, including teamwork, respect, determination and community – values that are critical on the court and in the classroom. Schools can register for the Jr. NBA program at no cost, and participating schools will receive up-to-date information about opportunities and resources that are available to official Jr. NBA member organizations.